At The Breakers, our commitment to social responsibility and to helping people in need is at the heart of everything we do. The Be Our Guest program honors selfless volunteers in our community who share our passion and who work quietly out of the spotlight to brighten the lives of those less fortunate. Nominate a volunteer from your organization, someone who embodies the commitment to service with benevolence and inspiration – the ultimate expression of hospitality. 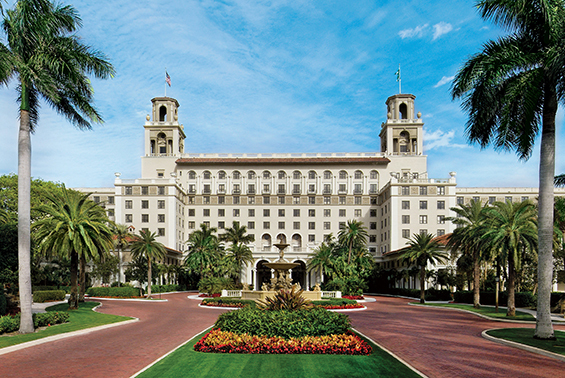 The award recipient will be honored with a well deserved, two-night stay with his/her family at The Breakers. In 2018, there were many deserving nominations, but Ramon and Mirella Reyna stood above the rest for their dedication to the patients of the Alzheimer’s Community Care. Originally from the Dominican Republic, the couple moved to Palm Beach County 14 years ago to be closer to their family. At 71 years young, the couple takes two buses each day before the sun rises to help the nurses at the center prepare for the day. Their compassion to providing comfort and care to the patients personifies what it means to serve.